Leigh Lezark is the kind of girl that pops up in the first few pages of Vogue. she's in the party snaps, posing with editors, looking devilishly chic. she's a DJ, a brand ambassador for Chanel, and the perfect combination of edgy, sleek, cool, and chic that I can't help but have a massive girl/style crush on her. she was definitely my main source of inspiration back in the day when I had a short dark bob of my own, but alas, I could not be a slave to the straightener for long, no matter how nicely it paired with a leather motorcycle jacket. 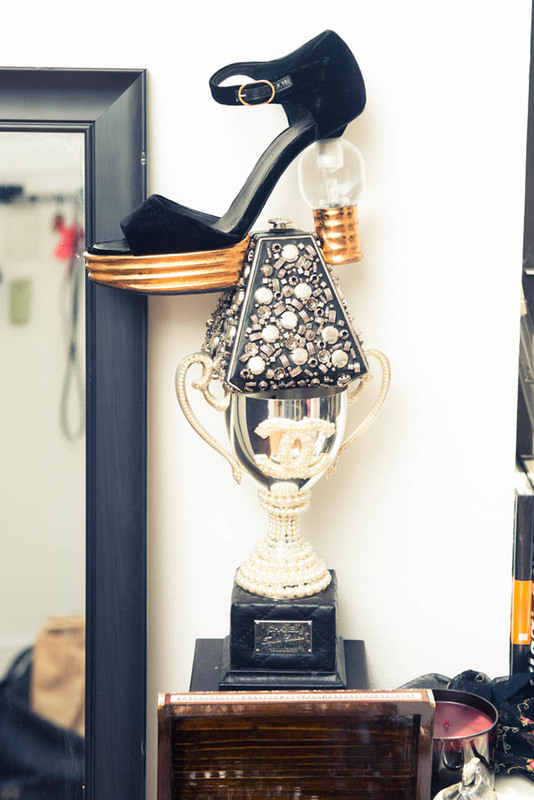 the Coveteur obviously feels the same way and did a shoot in her fabulously cluttered apartment. I bet she's a whisky on the rocks kind of girl.